Anna Biller makes films that can kill you with one look. Nine years ago, her movie Viva, a tale of promiscuity in 1970s Los Angeles suburbia, earned her a reputation as a starlet of underground Hollywood. The film is blessed by the striking, celluloid beauty of 35mm, which is perfectly offset against the kitsch costumes of Biller’s characters and the vivid artwork that adorns the walls of their abodes – all meticulously crafted by the director herself. 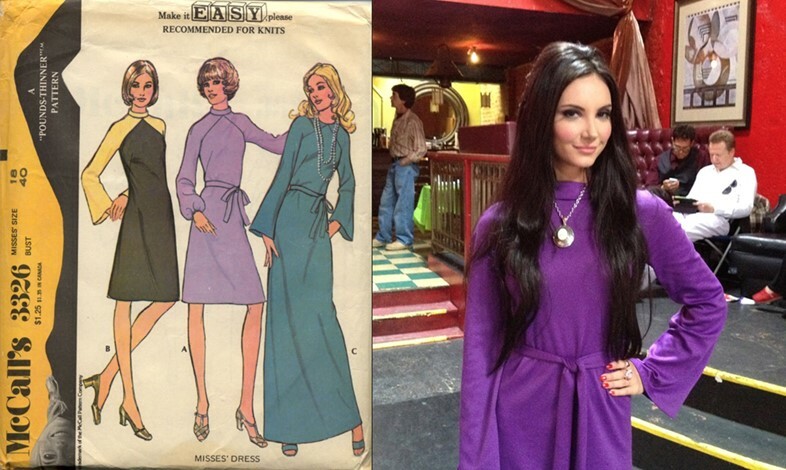 It should come as no surprise then that her sophomore feature The Love Witch gets a similarly stylish treatment. The story follows Elaine, a gorgeous sorceress wandering across the Californian coast, leaving the stunned cadavers of male lovers in her wake, and is by turns a razor sharp American satire and a blood soaked slasher. Set in a strangely ambiguous era, it toys with ideas of sexual prowess and feminist ideals that feel contemporary, but are delivered under a fantastical Technicolor spotlight. Ahead of The Love Witch’s Discovery screening at FrightFest 2016, Biller spoke to AnOther about how she created a twisted, yet intelligent piece of statement cinema. “Saying that a woman’s sexuality is a source of power isn’t anything new. That women aren’t owning their sexual power because they think it demeans them is a complicated social phenomenon, but it doesn’t take away from the truth of it. Elaine uses her beauty as a strategy to attain the love and respect of men, but it backfires. That’s not because her strategy is unsound, but because that’s not how patriarchy works. The men in the film will never give her the love and approval she craves, because they are very focused on marinating in their own social power. “I watched a lot of classic films shot in Technicolor and one of the things I loved the most was the use of colour symbolism, so I tried to emulate it. The dress in the opening scene is like the ‘harlot-red’ dress Grace Kelly wears in Dial M for Murder as she’s cheating on her husband. That’s the same thing I did with Elaine’s dress. The Love Witch screens at FrightFest on August 27. Buy tickets here.